After the announcement of direct income support of Rs 6,000 per annum to small farmers in the interim Budget - 2019, Jharkhand farmers are set to get a double bonanza as the state government has also introduced a similar kind of sop for them. 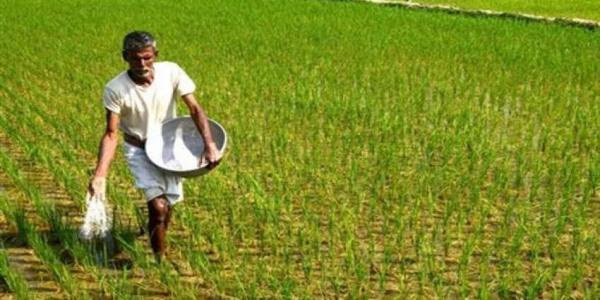 Union Finance Minister Piyush Goyal in his budget speech had announced about a new scheme called the Pradhan Mantri Kisan Samman Nidhi (PM-Kisan). This scheme would provide assured income support to the small and marginal farmers who own land up to 2 acres, in the form of direct cash transfer to their accounts in three equal installments of Rs 2,000 each. Chief Minister Raghubar Das while speaking at the Sukanya Yojna awareness campaign organized in Latehar on Monday, said that Jharkhand resides in the village and so our farmers. He said the state government will provide financial assistance of Rs. 5000 per acre under Krishi Ashirvad Yojna. Under this scheme, farmers with less than 5 acres of land will come. With the amount, farmers will be able to buy necessities for farming. The government will spend Rs 2 thousand 250 crores on this scheme. In this way, a farmer of Jharkhand will get the benefit of 11 thousand rupees per acre from the month of May. This scheme will cover 22 lakh farmers of the state.